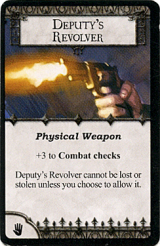 Deputy's Revolver is a special card. It first appeared in the Arkham Horror board game. 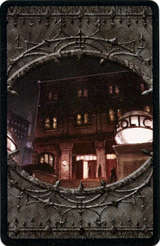 This card is earned by becoming the Deputy of Arkham. Deputy's Revolver cannot be lost or stolen unless you choose to allow it. This page was last modified on 31 March 2009, at 23:47.